For readers of the mid-first century CE, Columella compiled a comprehensive curriculum of the agricultural discipline, aiming to cover every aspect of the field that might effect economic profit and environmental stewardship. 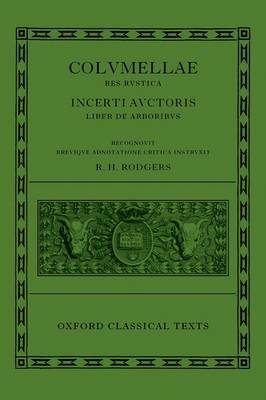 Columella combines traditional Roman moralism with an interest in experimental practices and a plea for sound fiscal sense; his work was cited for its scientific currency by a younger contemporary, the Elder Pliny, while Cassiodorus included him, for literary eloquence and practical value, in a selective list for monastic readers. Nonetheless, the medieval manuscript tradition is very slender, and the transmitted text is of mediocre quality. Independent testimony, happily available in authors of late antiquity, is often crucial to successful restoration. This freshly constituted critical edition builds upon the solid recension of pioneering Swedish scholars but incorporates the products of conjectural emendation more consistently and more extensively than has previously been thought necessary.